STUTTGART -- Robert Bosch is carrying out an internal probe to investigate whether any of its staff were involved in Volkswagen's rigging of emissions tests, the supplier's CEO, Volkmar Denner, said. However, VW bears the responsibility for its emissions-cheating scandal and not suppliers or diesel technology, Denner said at a press briefing here at the supplier's headquarters on Tuesday. Bosch said in September that it supplied control components for VW engines implicated in emissions rigging. Prosecutors in the U.S. and Germany are looking into whether the partsmaker helped VW to cheat on emissions tests. Denner said Bosch started an internal investigation into its role a day after the scandal broke. Each automaker is responsible for a vehicle's emissions, not suppliers who contribute particular parts or component sets to the engine or gearbox, he said. The company was cooperating with authorities, Denner said. Bosch has submitted additional material to authorities beyond what was requested to support technical understanding of the matter. Engine-control software is a highly complex field and the documentation can comprise thousands of pages, he said. Bosch is reluctant to disclose its engine management software codes to authorities since they contain years of proprietary know-how. "Why should we disclose this," Denner said. "What do authorities want with this? It's so complex that it is not feasible." Denner said only automakers could provide real insight into potential engine management violations since they were the ones who had a complete overview of engine and exhaust systems and since they submitted cars to the authorities for certification. Asked whether Bosch played a role in calibrating Volkswagen's engine software, Denner said: "Powertrain is complex, many suppliers are involved." Bosch hasn't noted a drop in demand for diesel cars, but long-term prospects are uncertain if authorities intensify scrutiny that eventually taints the technology's reputation, Denner said. Bosch's diesel-technology operations employ about 50,000 people. To revive public trust in emissions data, Denner said he supports independent organizations conducting checks to narrow the gap between laboratory test results and real-world driving. Denner said diesel technology should continue to be pushed, since combined with modern filter systems, diesel engines can help cut pollution in large cities by reducing particulate matter. "The diesel is an air cleaning machine," he said. Dismissing diesel technology out of hand may dent consumer confidence in cars and further weigh on demand in a year when Bosch forecasts that global automobile production will grow by 1 percent rather than the 3 percent growth seen in previous years. "2016 will not be an easy year," Denner said. Separately, Bosch today released preliminary full-year earnings for 2015. The industrial group, which makes household goods, engine components and sensor technologies, said its revenue rose 10 percent to 70.6 billion euros ($76.7 billion) in 2015 thanks to a 12 percent jump in sales from its mobility solutions division to 41.7 billion euros. The supplier said it continued to expect a rise in operating profit in 2016 on rising demand for driver assistance and infotainment systems. Driver assistance systems, including ultrasound, radar and video sensors are used in crash-avoidance technology and will become important components for automakers to launch self-driving cars. The shift towards more fuel-efficient and safer cars has helped unlisted Bosch boost sales of gasoline and diesel injection systems and to sell more high-margin products. 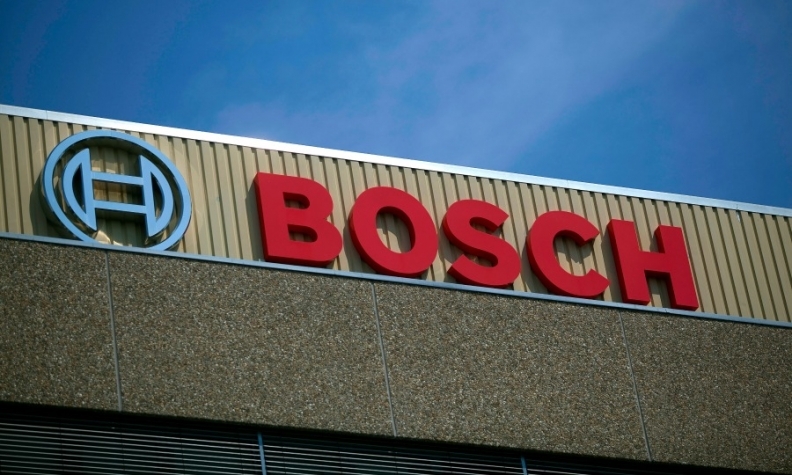 Revenue from the sale of automotive radar and assistance systems doubled, Bosch said. Overall, the group's operating margin widened to 6.5 percent in 2015 from 5.8 percent in the year-earlier period. Preliminary results for the first time included proceeds from two joint-venture companies, Bosch Siemens Haushaltsgeraete and ZF Lenksysteme, which Bosch acquired in 2014, boosting revenues by 16 billion euros.